Antiretroviral therapies (ART) suppress HIV replication, thereby preventing HIV disease progression and potentially preventing HIV transmission. However, there remain significant health disparities among people living with HIV, particularly for women living in impoverished rural areas. A significant contributing factor to HIV-related disparities is a stigma. And yet, the relative contributions of stigma, gender, socio-economics, and geography in relation to health outcomes are understudied. 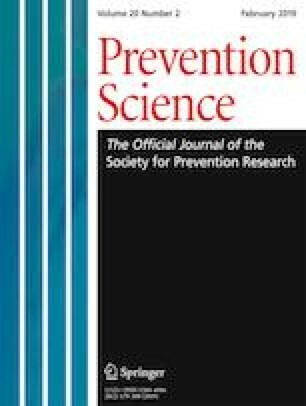 We examined the associations of internalized stigma and enacted stigma with community-level income inequality and HIV viral suppression—the hallmark of successful ART—among 124 men and 74 women receiving care from a publicly funded HIV clinic serving rural areas with high-HIV prevalence in the southeastern US. Participants provided informed consent, completed computerized interviews, and provided access to their medical records. Gini index was collected at the census tract level to estimate community-level income inequality. Individual-level and multilevel models controlled for point distance that patients lived from the clinic and quality of life, and included participant gender as a moderator. We found that for women, income inequality, internalized stigma, and enacted stigma were significantly associated with HIV suppression. For men, there were no significant associations between viral suppression and model variables. The null findings for men are consistent with gender-based health disparities and suggest the need for gender-tailored prevention interventions to improve the health of people living with HIV in rural areas. Results confirm and help to explain previous research on the impact of HIV stigma and income inequality among people living with HIV in rural settings. This research was supported by National Institute of Alcohol Abuse and Alcoholism Grant R01-AA023727. The University of Connecticut and Mercer University Institutional Review Boards approved all of the study procedures. All procedures performed were in accordance with the ethical standards of the institutional and/or national research committee and with the 1964 Helsinki declaration and its later amendments or comparable ethical standards. All participants provided informed consent in compliance with conducting self-administered anonymous surveys. CDC. (2016a). Health Related Quality of Life (HRQoL). Retrieved from https://www.cdc.gov/hrqol/hrqol14_measure.htm-2. Accessed 19 Mar 2018. CDC. (2016b). Lifetime risk of HIV diagnosis. I. Retrieved from http://www.cdc.gov/nchhstp/newsroom/2016/croi-press-release-risk.html. Accessed 19 Mar 2018. Minnesota Population Center. (2016). National Historical Geographic Information System: Version 11.0 [database]. Retrieved from: https://doi.org/10.18128/D050.V11.0.